Welcome to Elegant Permanent Cosmetics. We have been helping people look their best for over 20 years. Our beautiful spa salon is located in Centerville, Ohio. 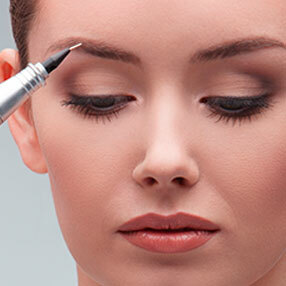 We can add brow strokes to re-create new eyebrows for you that look very natural. Color and thickness can be individualized and make-up can be applied for a more dramatic evening look. Used as a way to restore the natural beauty of your breast so you can regain your confidence. Eyebrows are the frame for your eyes and face and, when designed properly, lift the eyes to give a more youthful appearance. Wouldn't it be great to wake up every morning with your make-up already done? Your results will look natural. Your friends will wonder "What's different about you that gives you that glow?" Your safety, comfort, care, and privacy are our top priorities. Only licensed, board certified practitioners (with years of experience) perform your beauty transformation. You will enjoy the entire experience, from the minute you enter our beautiful, richly decorated, spa-like treatment rooms that help you relax and feel pampered, to the many compliments you will receive from friends and family. Linda Merrell has been a Licensed Practical Nurse since 1973, she is a trained professional Permanent Cosmetics Practitioner with over 20 years experience in this specialized field. She is board certified from the American Academy of Micro pigmentation. 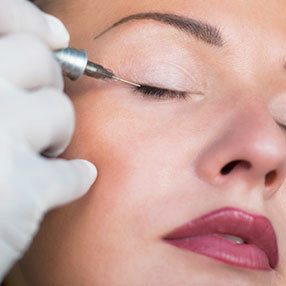 Jessica Warren is an Advanced Permanent Makeup Technician. She has an esthetic background as a Licensed Managing Esthetician. She has been with us since 2006! April Walker has been working with Elegant Permanent Cosmetics since 2014. She has a medical background as an Occupational Therapist with an advanced certificate in Hand therapy. "3-D tattooing helps women feel normal again"